For drivers who are caught driving under the influence in New Jersey, there are certain punishments they will face if they are convicted. The penalties for a first offense DWI are designed to dissuade those who are considering driving after drinking or using drugs from doing so. Of course, there will always be people who make the decision to drink and drive. Law enforcement is constantly on the lookout for drivers who might be drunk in order to apprehend them and make the streets safe for other drivers and pedestrians. Drivers who are stopped on suspicion of DWI must understand that there are certain rules that the police must follow when making the stop. For example, a traffic stop to investigate DWI cannot be made just because the officer feels like it. There must be probable cause. Also, when the officer is investigating, the field sobriety tests must be given on even ground and conducted in a fair manner. If, for example, the driver is asked to walk a straight line in the Walk and Turn Test and the area upon which the test is conducted is graded, rocky or strewn with holes, the test could be deemed invalid. When a breathalyzer test is given, the officer is required to observe the driver for 20 uninterrupted minutes to ensure that nothing is done to compromise the accuracy of the test. This can include regurgitating, smoking a cigarette or chewing gum. With the breathalyzer, the officer must be certified to give the test and the machine must be calibrated and in proper working order. DWI is a traffic offense in New Jersey, but that doesn’t make the penalties that come with a conviction and the aftermath any easier. 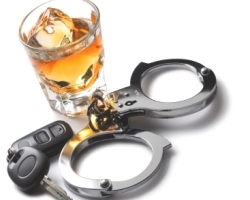 Depending on the blood alcohol content and circumstances, a driver who is arrested and convicted on a first offense DWI will face a driver’s license suspension, jail time, surcharges, fines and other financial and personal ramifications. The penalties for first offense DWI with a BAC of 0.08% and below 0.10% include a driver’s license suspension of three months. There is the possibility of 30 days in jail. There could be a fine of between $250 and $400. The Intoxicated Driver Resource Center (IDRC) will receive $230. The Alcohol Education and Rehabilitation Fund and the drunk driving fund will each receive $100. The Neighborhood Services Fund will receive $75. A surcharge of $1,000 annually for three years will have to be paid. If the driver has a BAC of 0.10% or above or is driving under the influence of drugs, the penalties are worse. There can be up to 30 days in jail. The driver’s license suspension will be for seven months to one year. The fine will be for between $300 and $500. All other financial penalties stay the same. If the BAC is 0.15% or above, the driver will have an ignition interlock device placed on his or her vehicle for the duration of the license suspension as well as for six months to a year after the driving privileges have been restored. For many, one time is more than enough and they make sure that they don’t run the risk of a second offense. Many times, drivers are caught and charged with DWI for a second time. 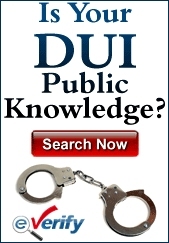 This brings along with it much harsher penalties than the first DWI. When a driver is arrested and convicted for a second DWI and it happens within ten years of the first conviction, there will be a driver’s license suspension of two years. The fine will be for between $500 and $1,000. $280 will be paid to the IDRC. $100 each will go to the drunk driving fund and the AERF. The surcharge will be for $1,000 per year for three years. $75 will go to the Neighborhood Services Fund. Jail time can be for between 48 hours and three months. The driver will be subject to 30 days of community service, 12 to 48 hours at the IDRC and an ignition interlock device placed on the vehicle. The duration for the ignition interlock device will be during the entire suspension of driving privileges and for one to three years after they have been restored.